Nina Gbor and Kelli Donovan. Photo: George Tsotsos. “If you can’t see it, you can’t be it” goes the mantra: we all need role models and inspiration, and sometimes the most powerful icons are right there in our own backyards. 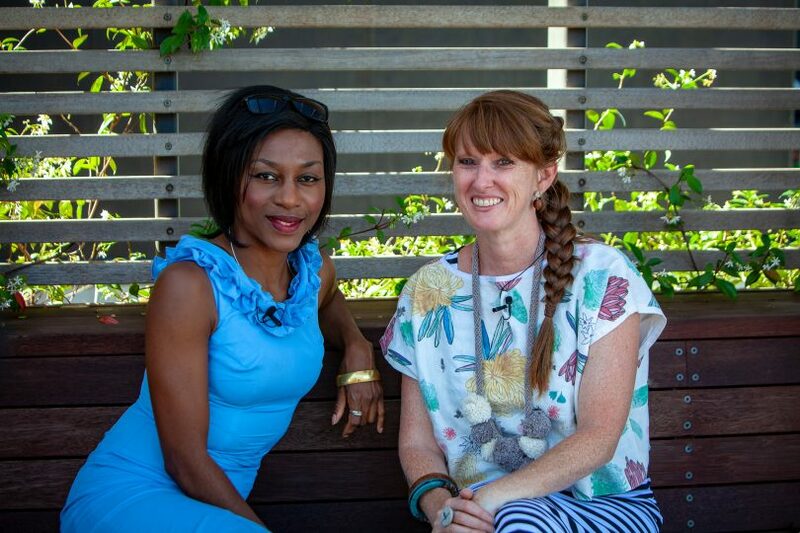 Powered by Passion is a new Region Media series by Nina Gbor that takes us inside the lives and motivations of some remarkable Canberra women. The focus is on sustainable fashion this week, as Nina speaks to Kelli Donovan, ethical fashion designer and talent behind Pure Pod – a 100 per cent organic, fair trade, local clothing label. Kelli is passionate about raising awareness of the harmful environmental and social impact of the fast fashion industry, increasing choices for consumers and making sustainable fashion more economical. In this interview, she shares her motivation behind her latest collection – Native Pollen– and turns the idea that sustainable fashion is more expensive than fast fashion on its head. Watch the full interview for more information. Looking for beautiful, locally-made fashion that’s ethically produced? In this week’s Powered by Passion clip we meet Canberran Kelli Donovan. She’s the driving force behind ethical fashion label Pure Pod – Sustainable, and tells Nina Gbor all about her passion for sustainable clothing and her latest range, Native Pollen. Original Article published by Ruwendi Wakwella on The RiotACT.